We ask you to please be generous to the Holy Thursday collection being taken for the needs of St Mary Parish, as we all know about the poverty of St Mary Church and all the struggles St Mary Parishioners have had to go through. We have all been blessed by the generosity of Jesus, especially as we contemplate this week of His suffering and death. We can only hope to respond with what meager gifts we give compared to His goodness. Categories: Announcements, community, events | Permalink. El viernes santo el grupo juvenil de Santa María invita a todos a vivir el viacrucis en vivo en las calles alrededor de la Iglesia de Santa María. Iniciaremos a las 2:00 de la tarde en el estacionamiento frente a la Iglesia. Todos son bienvenidos. El viernes Santo después del servicio de 7:00 pm tendremos la visitación de Jesús en la tumba en el sótano del salón parroquial hasta la media noche. El domingo de Pascua tenemos la procesión con Jesús resucitado alrededor de la iglesia de Santa María, todos son bienvenidos. Inicia a las 12:45 pm en frente del convento. Categories: Announcements, community, Dios, Espanol, Fe | Permalink. THE OFFICE WILL BE CLOSED THURS. & FRI., APRIL 18 & 19, FOR EASTER. Categories: Announcements, community | Tags: Freeport IL, Office hours, Saint Joseph Church Freeport IL, St Mary Church Freeport IL | Permalink. 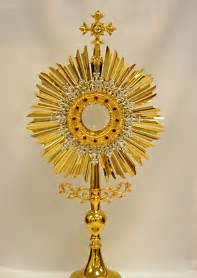 The Adoration of the Blessed Sacrament will be held after the 5:30pm Holy Thursday Mass in St Joseph Church until 12:00 Midnight and after the 7:00pm Holy Thursday Mass in St Mary Church until 12:00 Midnight. Categories: Announcements, community, evangelization, events, Fe | Permalink.